Manchester City suffered yet another setback in their Premier League title defence on Tuesday night, as they slipped to a 2-1 defeat at the hands of Newcastle United. Sergio Aguero scored the fastest goal of the season to put the Sky Blues ahead within the first minute, but Rafa Benitez’s men managed to mount an impressive comeback against the reigning English champions to secure all three points. City’s defeat means that if Liverpool manage to win their game against Leicester City on Wednesday, they will go seven points clear atop the league table. With the way things are going, Jurgen Klopp and co have a fairly realistic chance of winning the title this season – a prospect which has caused quite a lot of worry for the people associated with their arch-rivals, Manchester United. 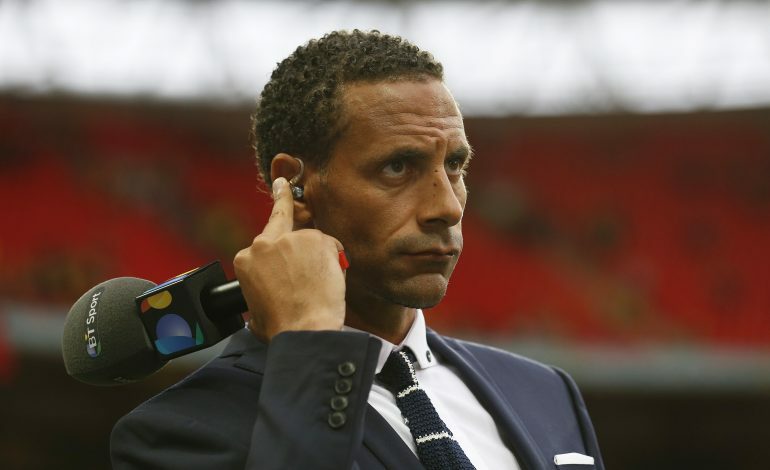 Rio Ferdinand is one such former Red Devil who is absolutely dreading the day when Liverpool finally win the league. In fact, during a social media Q&A on Wednesday, the decorated centre-back was asked where he plans to hide when the Merseyside giants finally seal their title win, to which the Englishman made a witty comeback. Rio simply replied “In my trophy room,” thereby dropping an indirect hint at the sheer number of titles that adorn his cabinet. The defender won six Premier Leagues, two League Cups, and a Champions League during his 12-year stint at Manchester United. Ferdinand was also asked which player he would have the Mancunians sign at the moment, and he ended up naming Liverpool‘s star defender, Virgil van Dijk.